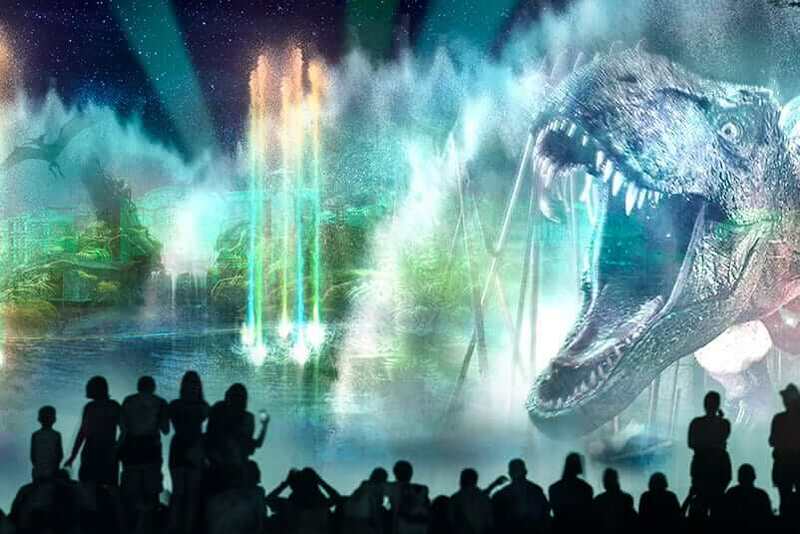 An epic new show is lighting up the night at Universal Studios Florida with a colossal celebration of music, water, and light that transforms the park and takes you into the movies like never before. As music from the world’s biggest films fills the air, scores of shining, dancing fountains erupt. Massive walls of water blaze with incredible movie moments and powerful projections bring the entire waterfront into the movies. You’ll see and hear roaring dinosaurs from Jurassic World, feel the adrenaline rush of high-speed cars from Fast & Furious, watch the mischievous antics of the Minions from Illumination’s Despicable Me, and so much more. Don’t miss the amazing new show that’s making nights at Universal Studios™ brighter and bolder than ever.